We are actively engaged in offering a qualitative range of Ball Peen Hammer for catering the diversified requirements of our clients. 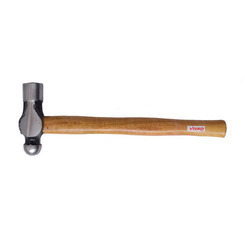 We offer Ball Pein Hammer With Wooden Handle. We are leading supplier Of Various kind of Ball peen Hammer. Being a prominent firm in this domain, we are engaged in offering a distinguished assortment of Mild Steel Ball Peen Hammer. - Excellent finished hardened steel heads blue coated. - Both ends well polished. Drop forged from carbon steel hardened. Polished wood handle. Made for light weight application. Made from Chrome Vanadium (Alloy Steel). Drop forged, heat treated, induction hardened and tempered. Polished faces with powder coated lacquer. Fitted with Geniune Hickory or Ash Wood Handle. We are successfully meeting the varied requirements of our clients by providing the best quality range of Cross Ball Peen Hammer. By leveraging upon our huge industry experience, we provide the best quality array of 1 OZ Ball Pein Hammer. 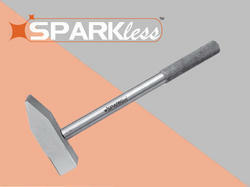 With vast industrial experience, we are involved in offering a wide range of Ball Peen Hammer. Drop forged from carbon steel.Heads hardened and tempered.Anti-termite treated and seasoned wooden handles.Powder coated.